Ghost of a Tale is described as an action-RPG game with stealth elements, dialogues and quests. Of particular interest to furs is that you play as an anthropomorphic mouse character in a world that's very reminiscent of Brian Jacques' Redwall series. Impressively, it is primarily the work of a single developer, Seith, and was funded via IndieGoGo. Ghost of a Tale was available in early access for a long time, although I waited until after the full game was released, in March 2018, before buying a copy. Can Illumination Entertainment produce anything besides more Despicable Me and Minions movies? 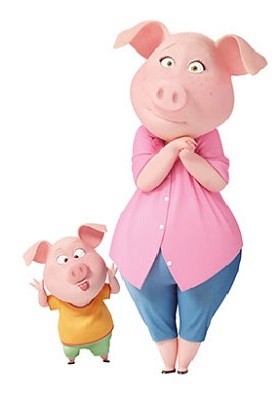 The animation studio is aggressively proving that it can – with anthropomorphic animals. It has already announced The Secret Life of Pets for a July 8th, 2016 release. Now The Cartoon Brew website has announced that Illumination Entertainment will also release Sing on December 21st, just in time for Christmas. Sing sounds roughly like a Muppet movie, or a cleaned-up Meet the Feebles, with an all-anthro animal cast. Buster Moon, a koala theatrical producer, is producing a vaudeville-style live show. The hopefuls trying to get a part include a mouse crooner, a timid elephant, a pig mother with too many piglet youngsters, a young gorilla trying to break free from his mob family, a punk-rock porcupine and more. The voice cast includes Matthew McConaughey, Seth MacFarlane, Tori Kelly, Reese Witherspoon, Taron Egerton, Scarlett Johanssen and John C. Reilly, among others. Illumination promises that Sing will have 85 songs! Is that a record for any musical, much less a funny-animal one? For several years now David Petersen (creator, writer, and artist of the award-winning Mouse Guard series) has annually been putting together an illustrated fable from the Mouse Guard universe for Every hero was once a child, listening to stories of the heroes who came before them. It is the same with the Mouse Guard. 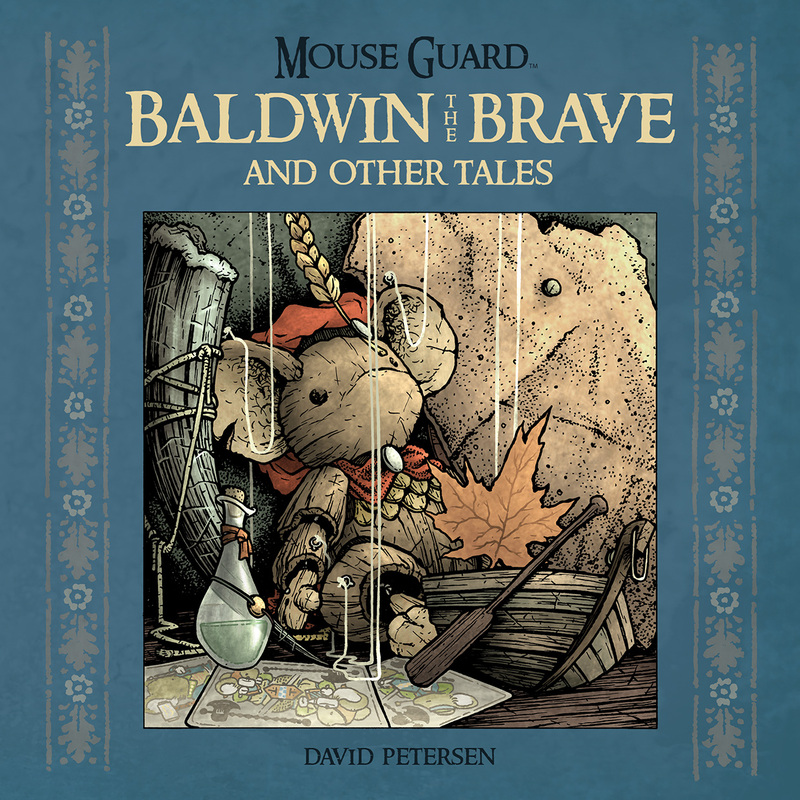 Six mouse fables are spun to a few familiar young furs, reminding us all to be brave, stay true to ourselves, and follow our hearts. Brand new stories include ‘Service to Seyan,’ set in the land where Mouse warriors travel after death, and ‘Oh Day Away,’ a tale of the insect faeries of the Mouse world!” Archaia have an interview with the creator himself over on their web page. Baldwin the Brave comes out this November. DC is doing a digital release of Captain Carrot And His Amazing Zoo Crew! this year. First issue was released in 1982... now rereleased August 19th, 2014! 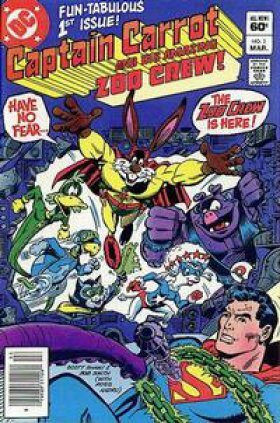 Captain Carrot and His Amazing Zoo Crew! is a DC Comics comic book about a team of funny animal superheroes called the Zoo Crew. The characters first appeared in a special insert in The New Teen Titans #16 (February 1982), followed by a series published from 1982 to 1983. The Zoo Crew characters were created by Roy Thomas and Scott Shaw!. Although the series, which was the last original funny animal property created by DC Comics, proved short-lived, it is still fondly remembered by many comic fans of its generation, and the characters appear occasionally in cameos in the mainstream DC Universe (this is made possible due to the existence of a "multiverse" in the DCU, which allows the Zoo Crew characters to exist on a parallel Earth). I would like to thank Mister Twister for calling this title to my attention by reviewing the first book in this series, Mousenet. This is its sequel. Mousenet and Mousemobile are recommended for readers 8 to 12, grades 3 to 7. They are clearly juvenile fiction, but are well-written and imaginative enough that “all ages” might be a better recommendation. Megan Miller, the protagonist, who was 10 years old in Mousenet, is 11 years old here. The series is not just spinning its wheels; this is a true sequel. 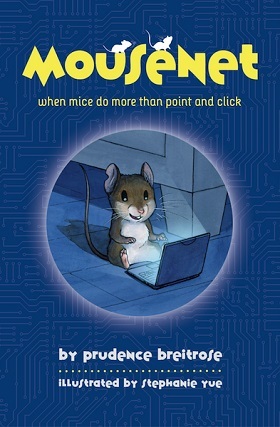 In Mousenet, Megan and three others – her slightly older step-cousin Joey Fisher and two adults, Megan’s inventor uncle Fred Barnes who made the mouse-sized Thumbtop miniature computer, and Joey’s father Jake who invented the solar blobs that are its power supply – become the only humans who learn that all mice are intelligent, and want the Thumbtop for all mice around the world so they can communicate instantly via a Mouse Internet. They obviously need more than a single miniature computer curiosity if this is to happen, so Mousenet is about the two children and the mice – particularly Trey, the Talking Mouse, and the officious but smart head of the Mouse Nation, the Chief Executive Mouse (a.k.a. Topmouse, known as the Big Cheese behind his back) – persuading Fred and Jake to mass-produce the Thumbtop. The mice come up with the fiction that enables the two adults to get away with this, by creating a “cute” small company, Planet Mouse, to purportedly make miniature computers as novelty keychain fobs, in Megan’s and Uncle Fred’s home city of Cleveland, Ohio. Illustrated by Stephanie Yue, NYC, Disney•Hyperion Books, October 2013, hardcover $16.99 (282 pages), paperback $7.99, Kindle $9.99. It may come off as an unpleasant surprise for some of you, to see a review of something two years old submitted only now. But, as the old saying goes, better late then never! 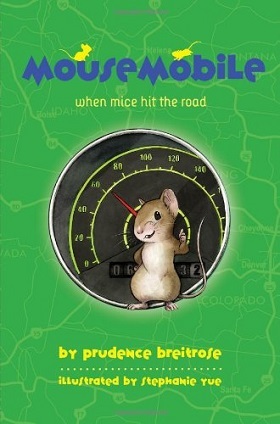 Mousenet by Prudence Breitrose is something of an oddity, for it is truly a book for all ages. As long as the idea of a child protagonist and cute little mice does not turn you off, you will enjoy the story, no matter your age. Actually, a good thing to compare this story to would be The Rescuers, an obscure little movie from the 70s you have probably never heard of. The story concerns itself with mice, which is sort of obvious. But these mice are not ordinary; they have evolved. Though it is implied the computer technology of the humans (that's us, by the way) helped, the fact remains that the mice of the book have gained quite a lot of intelligence recently, to the point of creating a worldwide mouse society, with standardized sign language, culture and social order. And the mice have taken a liking to the Internet, creating the titular Mousenet in the depth of our Internet. Unfortunately, mice can only use computers while we are away or asleep, and operating huge keyboards with tiny paws is cumbersome and hilarious, as described. Illustrated by Stephanie Yue, Disney-Hyperion, February 2013, hardcover $12.97, paperback $7.19, Kindle $6.83, 416 pages. 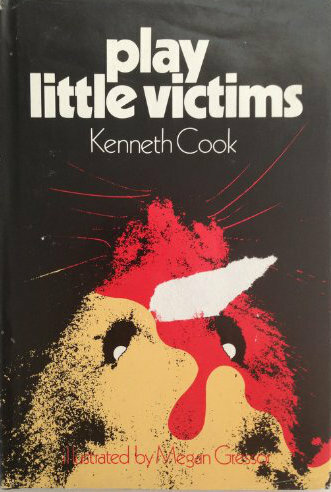 This short but deadly satire is set in the U.S., but has never been published there. Does it cut too close to home? In 2000 (this was written in 1978), God decides to wipe out all life on Earth by covering everything instantly with giant glaciers. (Actually, He intended to wipe out all life in 1000 A.D., but He forgot.) He misses one two-square-mile valley in the center of North America, inhabited by two field mice, Adamus and Evemus. Because God also scraps the laws of evolution, the mice immediately develop intelligence. Not knowing that God missed them by accident, they decide that they are God’s new chosen people; and since the small valley has a town with a radio and TV station, an automobile factory, and lots of back issues of newspapers, they assume that He wants them to model themselves upon humans. In no time at all, because mice breed fast, there are enough of them for Adamus to appoint a Board to help him guide the common mice. The mice all looked at each other and nodded wisely. Needless to say, the mice go wrong with almost every decision that Adamus makes. One mouse on the Board, Logimus, thinks for himself and has doubts about Adamus’ pronouncements about what God wants. But Adamus, backed by his Board of yes-mice, steamrollers right over him. Rushcutters Bay, NSW, Australia, Pergamon Press, June 1978, vi + 87 pages, 0-08-023123-3, $A9.00. Illustrated by Megan Gressor. 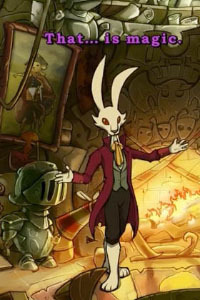 Night of the Rabbit is a third-person point-and-click adventure game, developed by Daedalic Entertainment, released in May 2013 for PC, Mac, and on Steam. If you like adventure games, check it out! If you're not into adventure games, this probably won't be your thing. What's it about? You play an optimistic young British boy named Jerry Hazelnut, living cozily next to a forest on the outskirts of a modern city. Summer is nearing its end, when suddenly a tall, talking white rabbit shows up, and you get to fulfill one of your dreams - becoming a wizard's apprentice and learning magic. To do this, the rabbit whisks you away to Mousewood, the miniature world of the forest animals. A darkness is slowly growing, but first you need to explore the area, help people out and learn some basic spells. 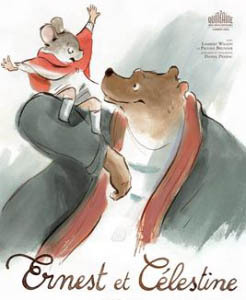 Big news from our friends over at Cartoon Brew, especially if you’re a fan of traditional animation: “Indie animated feature distributor GKIDS has announced that the highly anticipated hand-drawn French film Ernest and Celestine will open in New York and Los Angeles on March 14, 2014. That will be followed by national expansion to all major US markets. 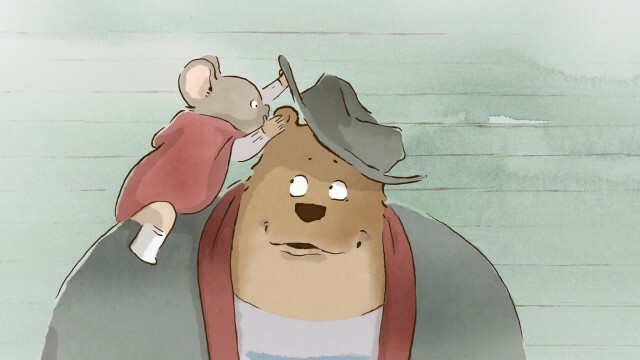 GKIDS has qualified Ernest and Celestine for the Academy Awards this year in the film’s original French language with subtitles. The American release, however, will be dubbed with a voice cast that includes Forest Whitaker, Lauren Bacall, Paul Giamatti, William H. Macy, Megan Mullally, and Nick Offerman. The small New York-based distributor has experienced fantastic success at the Oscars during the past five years by countering the big studios with quieter, more personal hand-drawn fare. They have earned nominations for three of their features: The Secret of Kells, A Cat in Paris, and Chico & Rita.” Check it out next year. From 1969 to 1972, BBC-TV presented a series of 26 10-minute stop-motion animated children’s episodes about the Clangers, tiny pink mouse-like denizens of another planet, and their cook, the Soup Dragon. The series was popular with British children and parents alike. The Cartoon Brew has announced, in an article by Neil Emmett, that Clangers (or The Clangers) will make a comeback in 2015, with 52 new episodes for CBeebies in Britain and the preschool channel Sprout in the U.S. The new series will be produced in stop-motion animation of knitted puppets by Peter Firmin, the original puppet maker and puppeteer (now 84), with writing supervision by Daniel Postgate, the son of the creator and original writer, Oliver Postgate. The article contains one of the original 10-minute episodes. 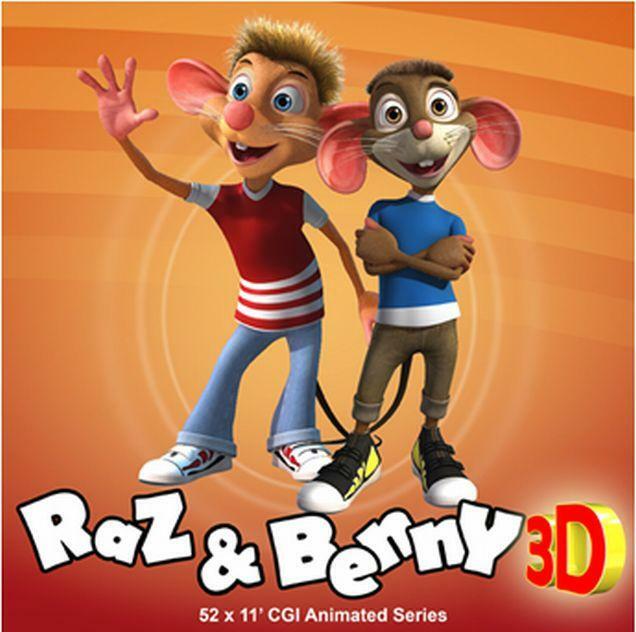 More from the MIPTV convention, as reported by Animation Magazine: “Global entertainment company DQ Entertainment and Foothill Europe Limited have announced an agreement to develop, co-produce and distribute CG-animated buddy comedy Raz & Benny… The stereoscopic-3D CGI show is created by U.K.-based director Simon Hodgkiss of Rockkiss DME and follows two mice whose ambitions are bigger than their brains, but whose good luck is as endless as their friendship. With their eccentric pal Lilly, dare-devil Raz and cautious Benny are always off on one adventure or another–whether posing as international spies, scuba-diving submarine rescuers or jungle explorers.” Vimeo has a preview video that includes an animatic of Foothill’s development work. 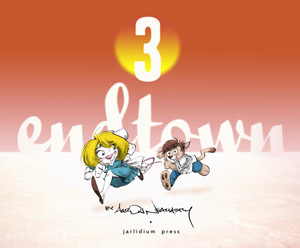 “Endtown 3”, by Aaron Neathery. [Introduction by Chad Rocco.] Bellevue, WA, Jarlidium Press, July 2013, trade paperback $15.00 (131 [+3] pages). 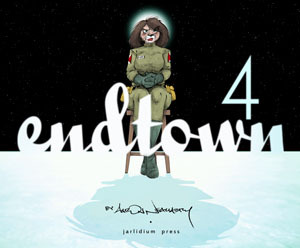 “Endtown 4”, by Aaron Neathery. [Introduction by Steve Gallacci.] Bellevue, WA, Jarlidium Press, July 2013, trade paperback $15.00 (131 [+3] pages). The two main characters exist in different worlds, and are both victims of circumstance. 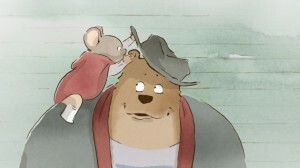 Ernest, the bear, is a musician who lives alone in a cabin in the forest outside a large town, an outsider. If not for the cabin, he'd be homeless; he runs out of food during the winter and must resort to busking and begging, and eventually theft, because busking is forbidden and his musical instruments are taken away.